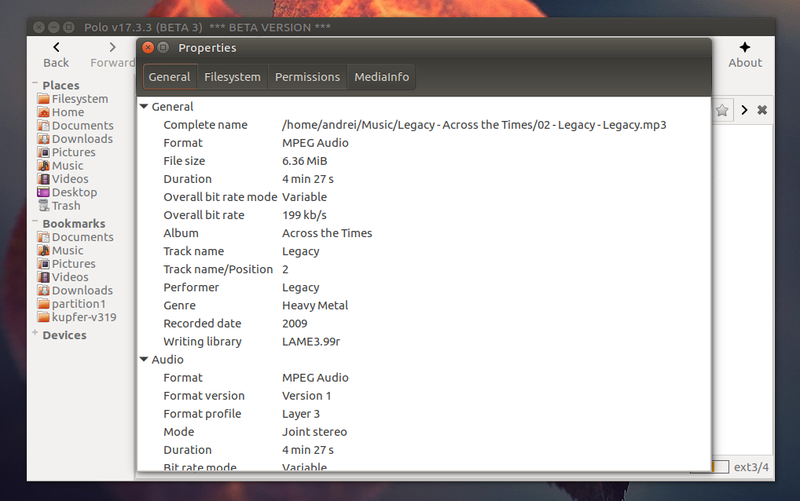 Developed by Tony George, who's also behind other fairly popular applications such as Selene Media Converter, TimeShift backup tool, and more, Polo is only available for users who donate for now. The stable release will be available for all users, however, those who donate will get a few extra features. 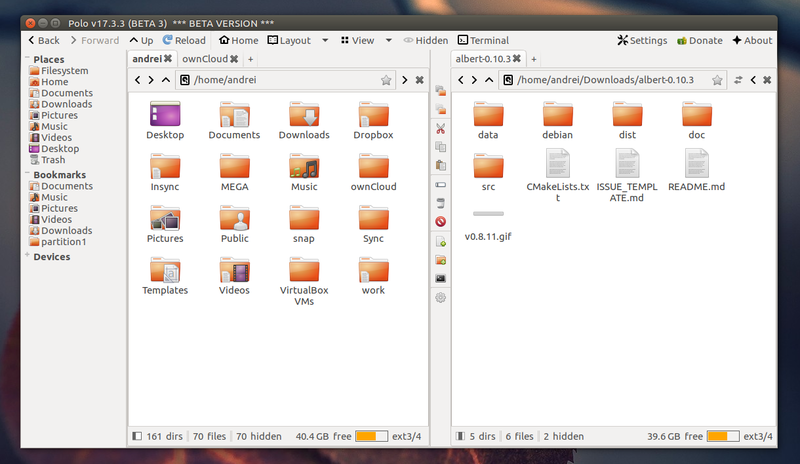 Polo is a new file manager that aims at providing features that are missing from popular file managers. The application is currently in beta, and it lacks some feature, but it already looks very promising. 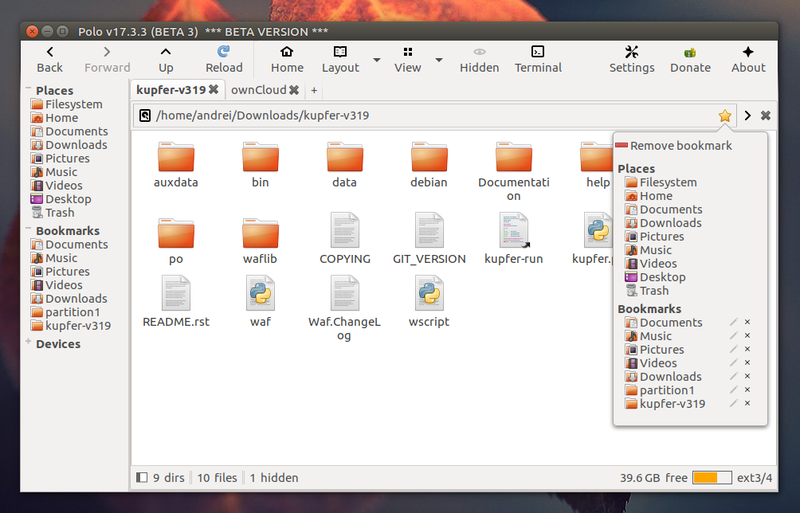 For example, the developer wants to include built-in support for multiple cloud storage services like Dropbox, Google Drive and others, using rclone as a backend. 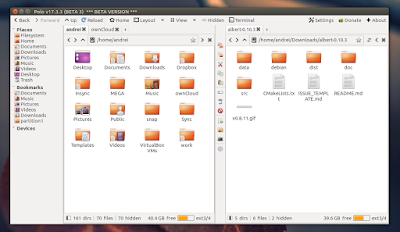 Another feature that's missing in many graphical file managers is being able to browse archives as if they were folders. This is another feature that Polo should get before its first stable release. There should also be a built-in GUI for creating archives, similar to the one used by 7zip in Windows. These two features are currently not available in Polo. There are context menu items to easily copy files or folders from one pane to another, as well as a middle toolbar that provides these, along with other options. Another cool feature available in the Polo Beta 3 version I tested is session support. Polo remembers the last session and it reloads it the next time it runs. 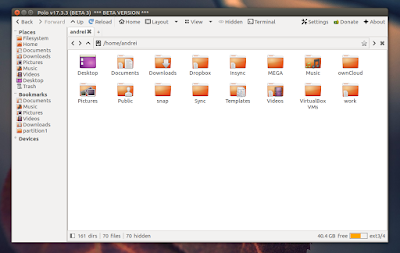 It restores not only open tabs and the pane layout, but also open directories. 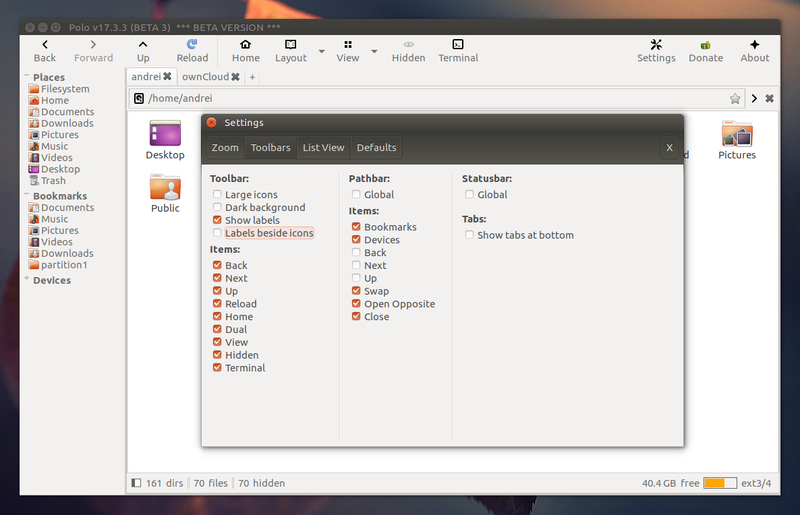 You can also configure the toolbar to display large icons, show only labels, labels beside icons, and use a dark background. media info in the file properties dialog, which displays EXIF tags (such as exposure, iso, camera model and much more) and audio info (artist, album, track name, along with audio format, bit rate, etc. ), PDF metadata, etc. 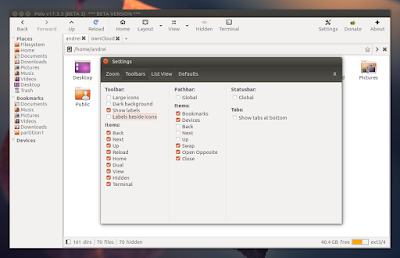 toolbar button and context menu to open current folder in a terminal. Besides built-in cloud service and archive support, the developer also wants to add support for Nemo extensions in the future. The audio preview feature that was available in Nautilus 2, which allowed hovering over audio files to preview them, might be implemented as well. One feature that won't be implemented is desktop handling (drawing the wallpaper / desktop icons). I should also mention that in its current state, Polo is not suitable for daily use. 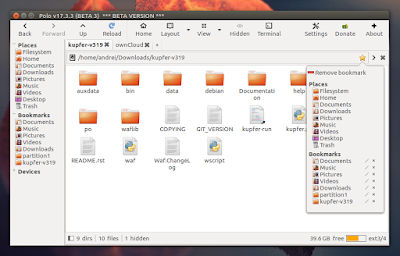 While in my test, I only encountered two major bugs (very slow copying folders with a large number of files and the app crashes when entering a folder with a large number of images), there are a few major features that are missing, like support for drag'n'drop and trash, along with many missing bits and pieces (like type-ahead). And, of course, there are some bugs as well. But that's to be expected since Polo is beta software. The next beta version is expected to be released on April 15 (initially it was April 8, but it was delayed). Like I mentioned in the beginning of the article, Polo is currently only available for users who donate. The stable version will be available for all, with some extra features for donors. Check out the Polo tag on Tony George's website for how to donate, along with more information about Polo, including completed and pending feature status.